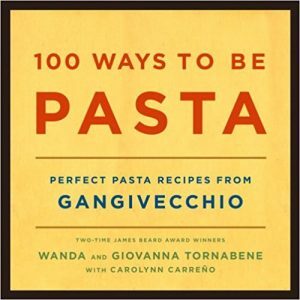 Welcome back to Gangivecchio, where Wanda and Giovanna Tornabene, two-time James Beard Award winners and beloved doyennes of the Italian kitchen, have served up another irresistible helping of charm, wit, and culinary wisdom from the kitchen of the thirteenth-century abbey they call home. This time around, the dynamic mother-daughter duo takes us back to Sicilian basics, in a recipe-filled compendium and heartfelt tribute to the “queen of the Italian table”—pasta. In 100 Ways to Be Pasta the Tornabenes once again weave memoir and history together with the vivid flavors of local village life, bringing us a true taste of Sicilian culture and cuisine. They incorporate lessons from basic pasta-cooking techniques to secret tips from old masters, and include an extensive glossary of pasta vocabulary, a dictionary of pasta types, and of course a generous sprinkling of anecdotes and advice. All of this serves as a delightful setting for the one hundred authentic, mouth-watering recipes, lovingly honed and perfected in the old abbey kitchen. From quick, easy basics, like spaghetti with garlic, oil, and hot pepper or farfalle with peas and prosciutto, to traditional pasta soups like minestrone, to more elaborate baked and stuffed pastas like Baked Orecchiette with Lamb Ragù and Melted Mozzarella or Baked Timbale of Anelletti with Veal and Vegetables, each recipe serves up a little piece of Sicily for your very own kitchen. 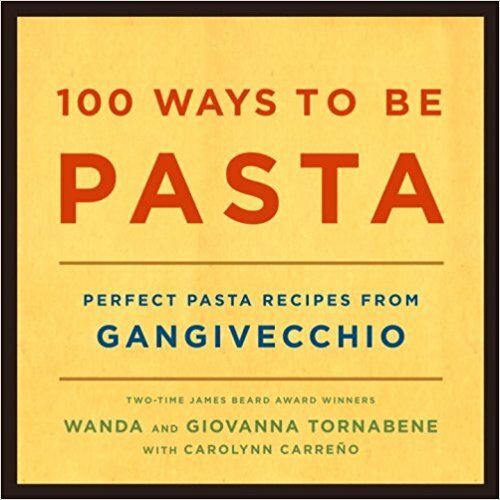 As informative and useful to the beginner as to the experienced Italian cook, 100 Ways to Be Pasta is a must-have and a treasure for any cookbook shelf.